Turning their anguish into action, Monday, hundreds gathered for a rally outside Delray Beach City Hall demanding an end to gun violence five days after a gunman killed 17 people at a Florida high school. In their quest for change, students of Marjory Stoneman Douglas High School started the never again movement and plan to take their message on gun control to Washington on March 24. They want stricter background checks and tougher rules on who can own guns. The rally was spearheaded by 16-year old Ari Silver and his father, local Rabbi Barry Silver. "What we really want to have is change," said organizer Ari, a sophomore from Olympic Heights High School who also helped organize a protest there on Monday. The teen said he's all too familiar with the added fear students face at school. "Now, everyone thinks about this. If someone knocks on the door hard in your class, everyone looks up frantic," he said of the atmosphere at school since last week. The fear intensified, he said, when a teenager with an AR-15 opened fire in a school just minutes away from his own in Parkland, Florida. "I know this was a horrible event to happen but it just shows you what happens when you let people get a hold of guns like that. That was a semiautomatic rifle," Silver said. Several other Marjory Stoneman Douglas High School students and teachers at the rally took turns echoing their desire for legislation. Protesters demanded tougher gun control laws. "Backgrounds checks need to be stricter and the rules a lot more constricted on who can own a weapon of this caliber," said rally organizer Jessie Budin, a sophomore at Olympic Heights. Students told me it’s going to take more than rallies and prayers to prevent another tragedy from happening. "The fact that we're walking out and protesting with signs and cheering -- I mean, we can change something here," said Budin. "We need to actually go out there and protest and make ourselves heard," said Silver. U.S. Representatives Lois Frankel and Ted Deutch also spoke in support at the podium. 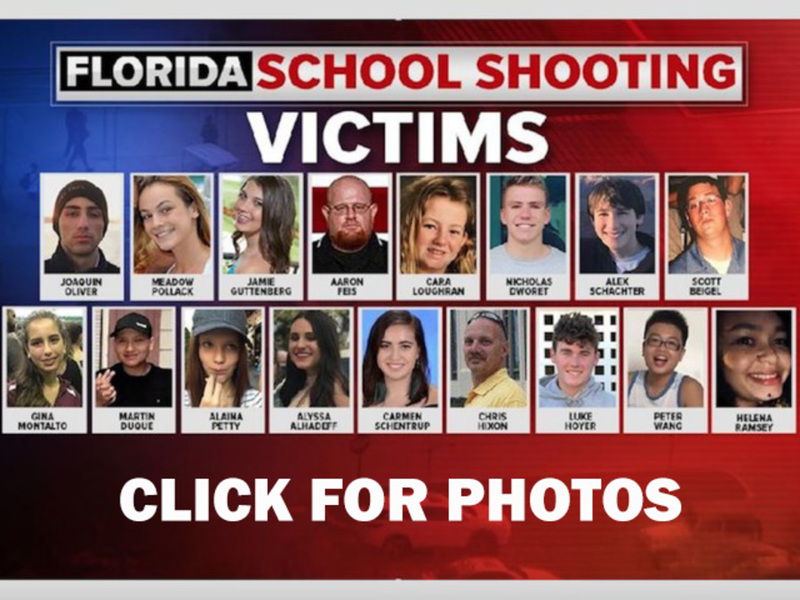 Wednesday Rep. Deutch along with Senator Bill Nelson and Senator Marco Rubio will continue the conversation about gun violence at a town hall meeting with students at the BB&T Center.